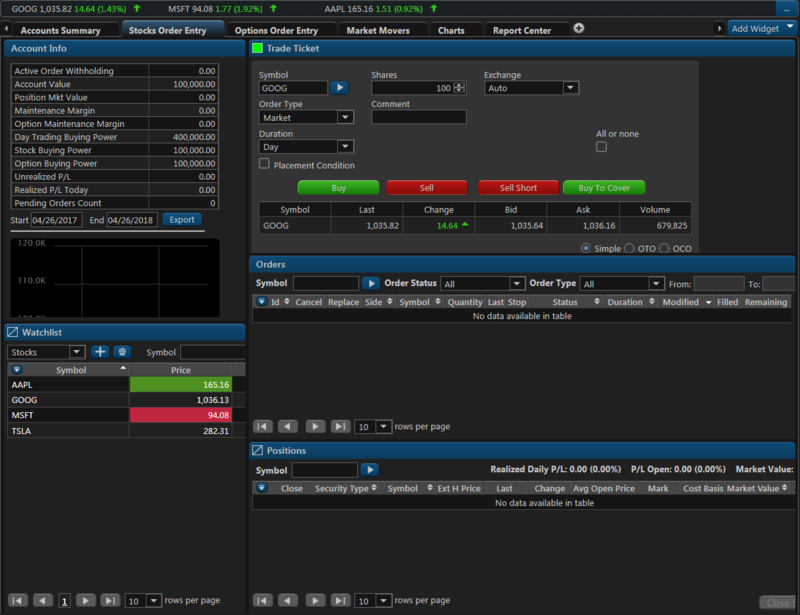 Web Trader | OptionsRoute - Low Cost Options Trading. Available on iPhone/Android/Web. 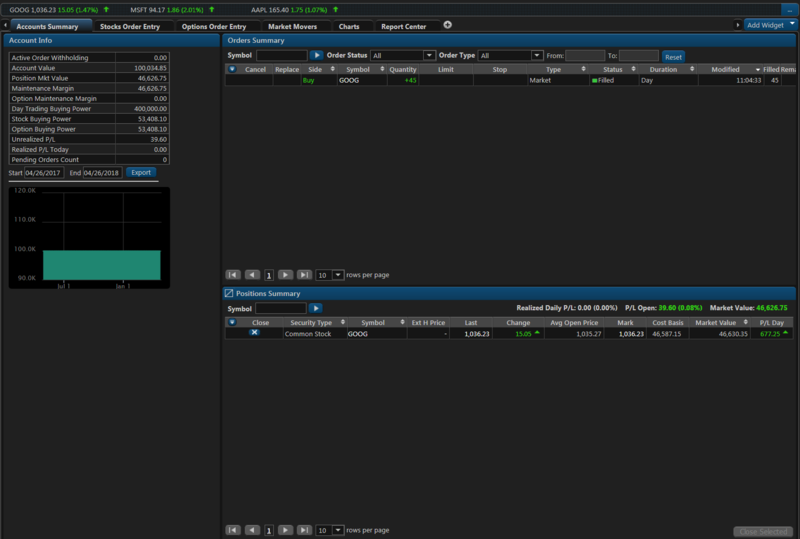 Quickly Enter Orders for Directional Options, Options Spreads, Stocks and ETF's. Each trading day, the alert service will send you updates on the largest premarket stock movers, including customized alerts based on the symbols in your Custom Watchlists, as well as other notable movers in the marketplace. During the trading day, the alert service will send you alerts based on price movements for the stocks in your Custom Watchlists, or for specific symbols that you designate with the choices below, like new 5E2-week highs or lows, or prices above or below certain levels. E-mails are sent out at 11:00 AM ET and 2:00 PM ET, if there are any applicable alerts for that day. You'll have access to over 100 different points of data all available to you. Submitting equity and options orders is a breeze. 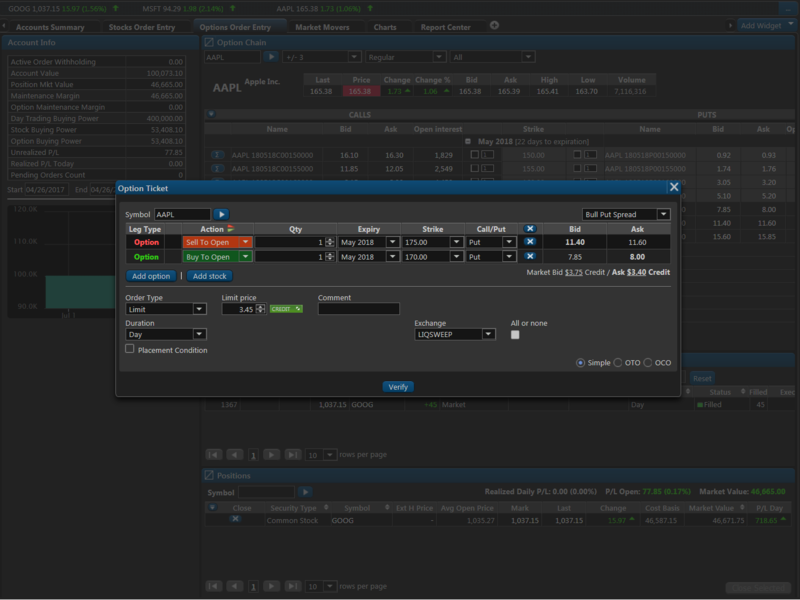 Enter equity and options orders, single legged options, and option spreads (including credit, debit, and complex orders) up to four legs, from the web or a mobile device, wherever you are. 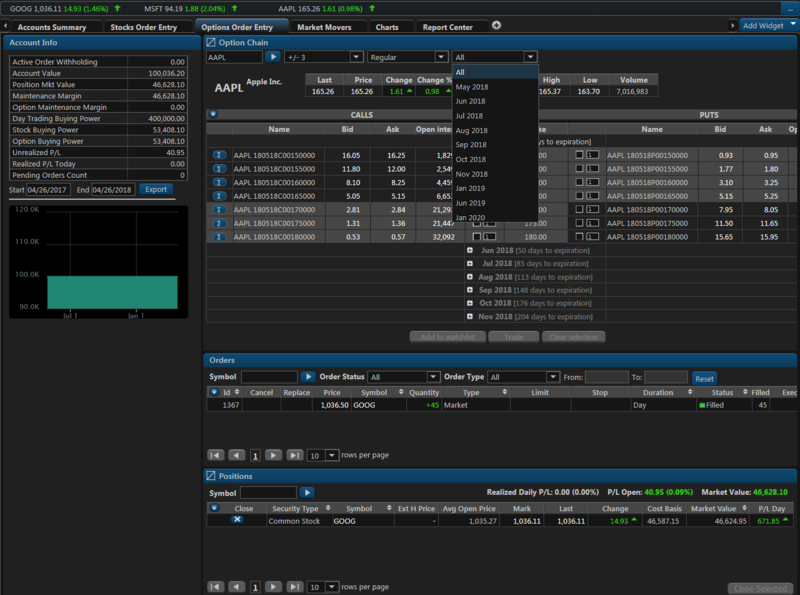 Whether trading from a PC, Mac, or Mobile Device, the platform delivers a highly configurable experience for Stocks and Options trading. 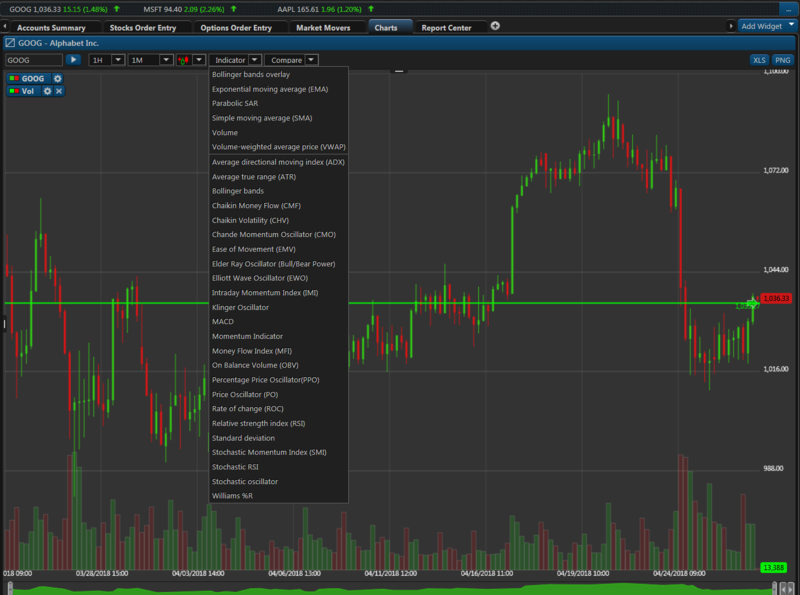 Complex Options - Credit and Debit Spreads, Vertical spreads, Straddles, Condors, Butterfly,Straddles Directional, and more. Whether you're a long term investor, active trader, or swing trader, you'll get straight forward pricing. View our Commission Schedule.